Gateway Psychiatric Services is excited to announce the release of our latest book: The Bipolar Disorder Workbook from Callisto Media. 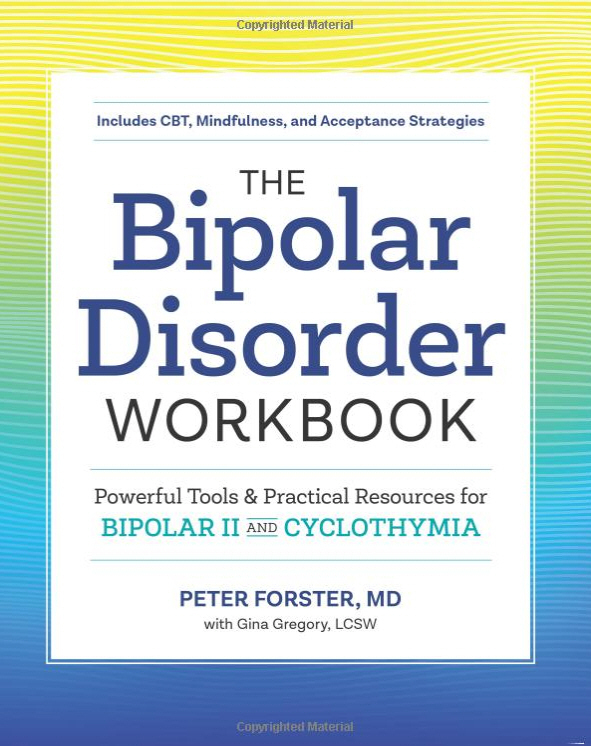 Designed to educate and motivate people who have questions, particularly about Bipolar II and cyclothymia, the workbook walks users through a series of structured exercises, beginning with a basic checklist intended to identify symptoms that may warrant further investigation. The Workbook guides readers through an understanding of the diagnostic process and teaches skills for management of the condition, using both medication and lifestyle change approaches. Exercises are also helpful for friends and family members who are learning to provide support to a person with one of these conditions. Early reviews highlight the Workbook‘s user-friendly structure and it’s supportive tone for patients and family members alike. We hope that everyone will find it to be a comprehensive and learner-centered resource.